← Got a camper on your Christmas list?? 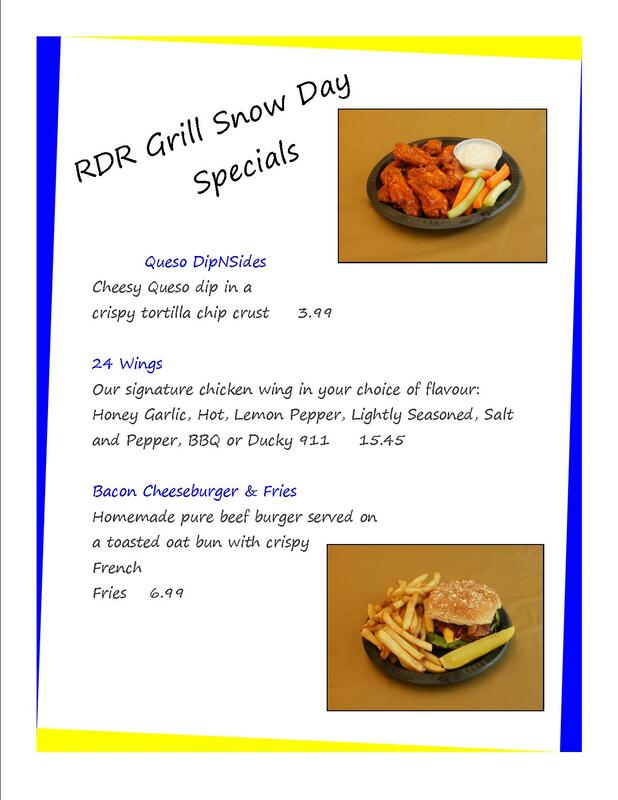 Now that winter is officially here I figured it was time for some new specials from the RDR Grill. The only thing better than hot wings to fend off the cold is Ducky 911 wings. If you are having your own Grey Cup Party this weekend don’t forget we also do take out. Let us do the cooking for your gang. Or you can always have your wings at The Duck while you Boo on the Riders. This entry was posted in travel and tagged Grey Cup party manitoba, RDR Grill, rubber ducky resort and campground, wings specials winnipeg. Bookmark the permalink.